If you work in the solar, insurance, or roofing industries, chances are you’ve heard about drones. You might even be thinking about starting an in-house drone program. And for a good reason: drones are fundamentally changing the way industries operate. With drones, you no longer have to worry about inaccurate data or having to return to a site to gather missed information. Unlike other solutions, the data you’re working with is up-to-date, so you’re not dealing with imagery that is weeks or months old. Unlike traditional methods, drones take minutes to collect roof data. And with our Live Map feature, you can instantly see your map appear in real time as the drone flies. Once you get back to the office, process and export your data for further analysis. DroneDeploy’s roofing solution uses computer vision and machine learning algorithms to generate automated measurements that are 99% accurate. This eliminates the potential for measurement error, and makes it possible to measure square footage, roof features, pitch, surface area, and slope consistently across every site. Your team no longer has to scale a ladder or walk out on a ledge to complete a visual inspection. With drones, you can safely inspect dangerous or inaccessible areas. Pinpoint issues—such as cracks, leaks, and damage—with high-resolution orthomosaic and thermal maps, and eliminate the need to climb a roof unless it requires repair. A mobile workforce requires mobile tools. As inspectors head out into the field, they need a software solution that operates in real time, across all devices. DroneDeploy’s software is cloud-based and instantly updates so that teams are always on the same page. Whether sharing annotations, measuring areas of the roof, or generating reports, our software has your team covered in the field and back at the office. With drone data, you can move beyond inspections and use aerial imagery in the design process. Each drone flight captures high-resolution 3D point clouds that can be integrated with your existing design tools, or exported in the format of your choice. With richer datasets and export options, you can streamline workflows and shave days, or even weeks off a design timeline. 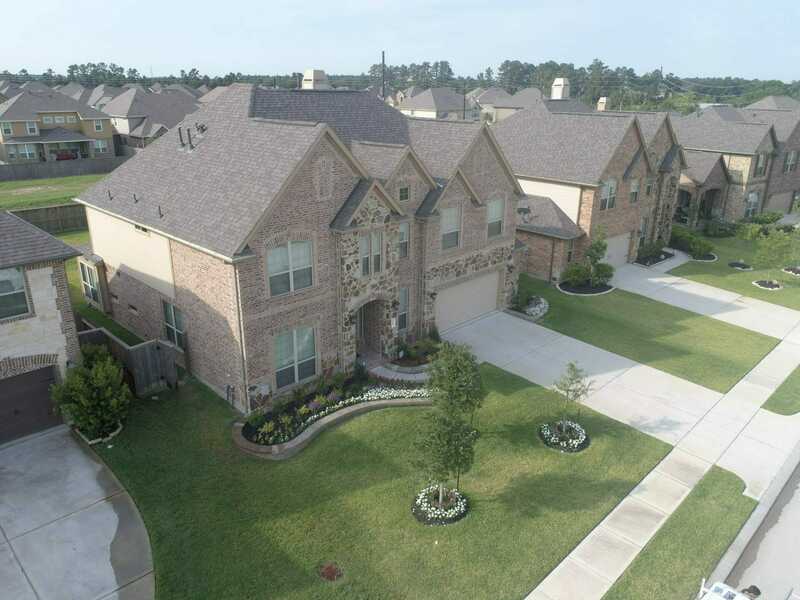 At Professional Drone Services of Texas, we believe in offering aerial drone inspections in Houston that are both competitively priced and top notch quality. A fact that has made us one of the most sought-after aerial inspection service providers in Texas right now! We deliver our services through highly trained professionals who have in-depth experience from the different industries we target. Over time, this has enabled us to offer our clients industry-specific consultations matched with customized solutions. Our services are also fully insured and FAA approved. It will ensure you have inaccurate data, which will lead to a misleading analysis of the situation on the ground and major losses for your company in the long term. It will lead to repeat inspections needed to acquire accurate results, which can prove costly with time. It will put your employees at risk, especially if your facility requires an accurate inspection to guide safety measures meant to protect them. It will make you unable to convert potential clients into actual customers, due to poor photos and videos meant for marketing purposes. If you’re looking for a way to get quick footage or a live stream of a drone flight, Professional Drone Services Texas is at your disposal. By quickly and safely inspecting your roofs for storm damage and identifying whether any repair needs to be done, we will make it easy for you to file for insurance claims and identify the true extent of the damage. Also, if you are in need of visual updates of your remodeling or construction projects, a drone will allow you and others to see whether progress has been made without having to put on a hard hat or additional safety equipment. Whether you want to watch the drone video individually on your personal computers, or as a team in your conference room, we are happy to assist. Whether you are looking to inspect your home or another construction, we offer a wide range of drone photography options. For instance, thousands of bridges in the US have been identified as “structurally deficient” and require a lot of investment to be repaired. We are able to quickly and efficiently identify the problem areas and make a work plan without having to put any of your workers at risk. Whether you are interested in streaming the inspection live on your computer or you’d like to show your team the inspection while it’s being conducted, we have a range of options for you. We even offer the option of instructing our pilots live, during the drone inspection, and telling them what additional footage needs to be captured. Whatever the purpose, drone inspections can be a useful tool that will save you time and make your job a lot easier. If you are interested in finding out more about drone inspection technologies, feel free to contact Professional Drone Services of Texas for more information about how drones can help you and your home. For a free consultation or a detailed overview of the services that we offer, please contact us today at 832-856-8556. We understand how difficult it can be to perform unique aerial drone inspections, and that is why we exist, to ensure it’s managed properly and effectively for you. Our desire has always been to ensure that client drone inspections are done efficiently. Therefore, we work closely with our clients to ensure that every crucial inspection is done as per an agreed upon plan. Over the years, we have managed to gain valuable experience that has seen us develop the capacity to offer industry-specific solutions in the following industries; Real Estate, Construction, Agriculture, Insurance, Oil and Gas, Golf Courses, Utilities and Law Enforcement. Working with us will ensure you get to benefit from modern drones that are capable of capturing images at a predetermined position. 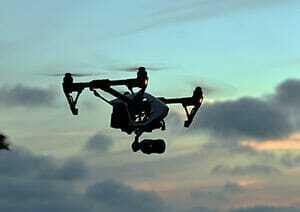 However, this position can always be altered in real time to enable the drone to capture more images at different angles for better analysis. To your advantage, our drones can be operated indoors and outdoors and can be used to access some of the most remote areas that cannot be easily reached. For easy monitoring, we are capable of offering live video feeds of drone inspections to many viewers at once. As long as you have an internet connection you can follow the live video feed from any place. Whether it is on site or in your office. Our drone inspections normally last an average of 20 minutes, but longer drone inspections can be done upon request. We will try our best to ensure that you have all the data relating to your recording within two days of the inspection when you can expect to receive all photos and videos. So that your organization can analyze the data effectively, we offer a variety of imaging applications to match your preferences. These include thermal imaging, near-infrared imaging and 3D mapping and modeling and edited videos with 3D annotations and animated graphics, but we just don’t stop at that! Our professionals are always on standby to offer you a detailed presentation regarding the data. Normally, the presentation will cover the scope of the project and the results of the drone inspection. For future reference, you will have the reports in both soft copy and hard copy. So if you are interested in getting a detailed drone inspection service, why not talk to us? You will benefit from aerial inspection services that are efficient. The data we collect for you will be accurate and reliable enough to make crucial business decisions. And most importantly, our fairly priced inspection services will fit right into your budget. All you need to do is visit our contact page then fill the contact form and we will get started.